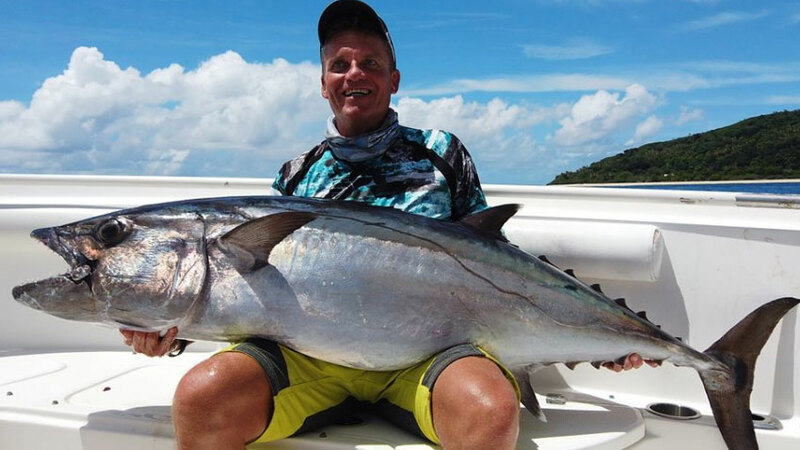 Congratulations to John Rasmussen, the first Ocean Blue guest to land a blue marlin on a popper. 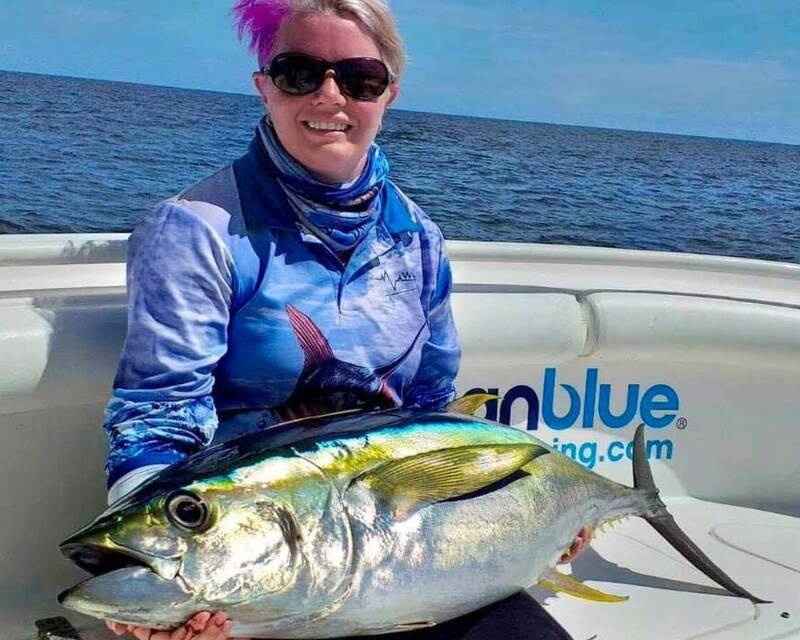 The blue was one of three marlin hooked on top water last Sunday out of Trees & Fishes. 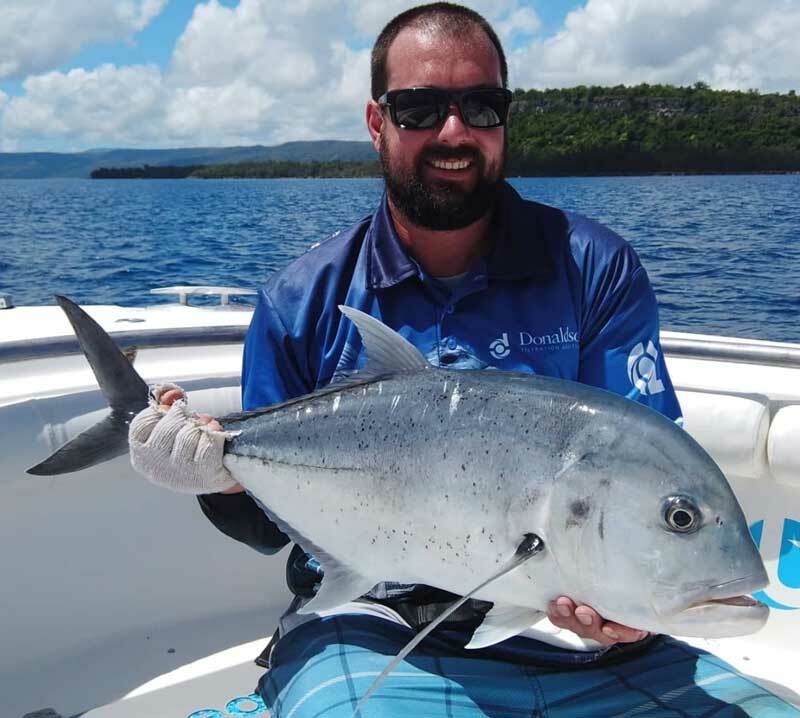 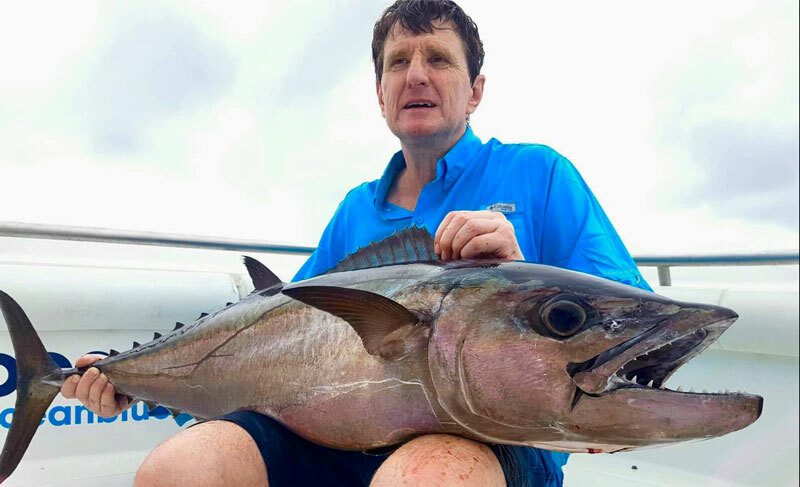 The fish estimated at around 120 kg was caught bluewater popping using spin gear, a Shimano Saragosa 18000 reel. 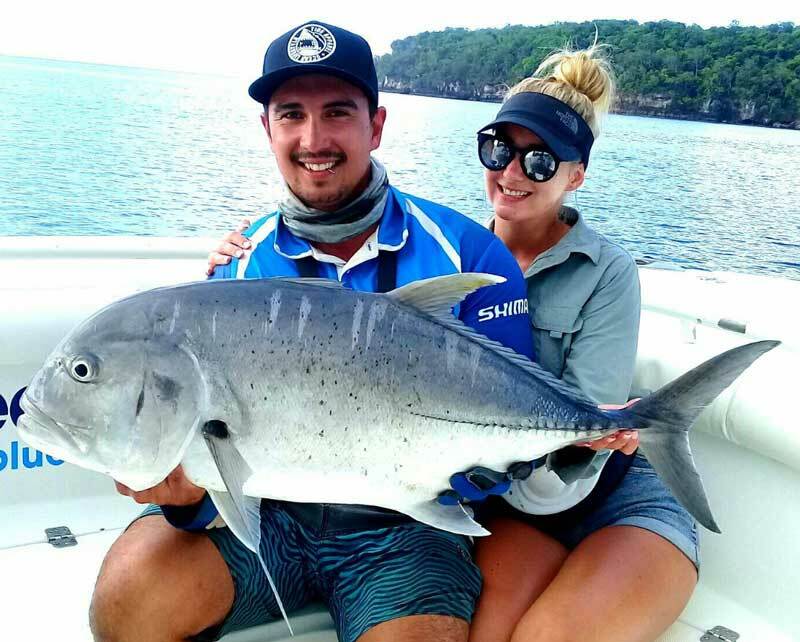 This was the 7th encounter we’ve had with blues on stickbaits and poppers in the past two weeks alone, and we’re proving quality spin gear is up to the task and more versatile compared to traditional heavy game rods & reels! 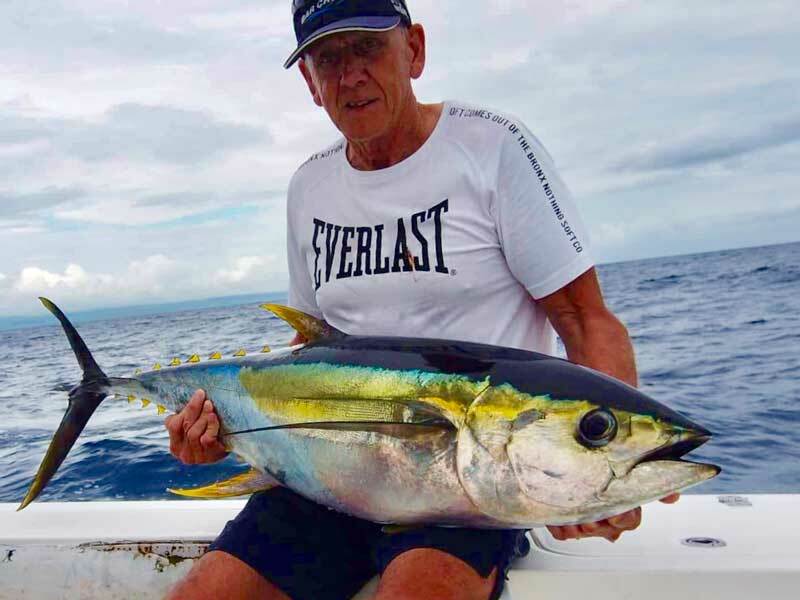 Well done John and a great achievement!